Maintenance kit with fuser exchange. 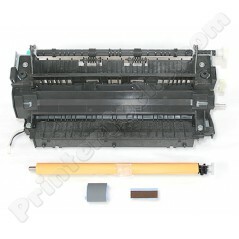 For HP LaserJet 1300 series. Maintenance kit without fuser exchange. For HP LaserJet 1300 series. HP LaserJet 1300 maintenance kit includes a PrinterTechs compatible fuser, plus a transfer roller, pickup roller, and separation pad. Instructions HP LaserJet 1300 series instructions for replacing the fuser and maintenance kit -- check out our high-quality installation instructions, with great photos showing how to install each piece, step by step!